Ginger root is a great ingredient to have on hand, and when stored properly, it’ll keep for a long time. When you buy ginger root, it may be sold refrigerated or at room temperature. Decide how long you’d like to store your ginger then follow these tips to keep it fresh. Look for firm pieces of ginger root that have a smooth, unwrinkled outer peel. If you see wrinkles, it's already beginning to deteriorate. Be sure to check the ends for signs of mold. While you may be able to trim those spots away, it won't keep well and isn't worth your money. 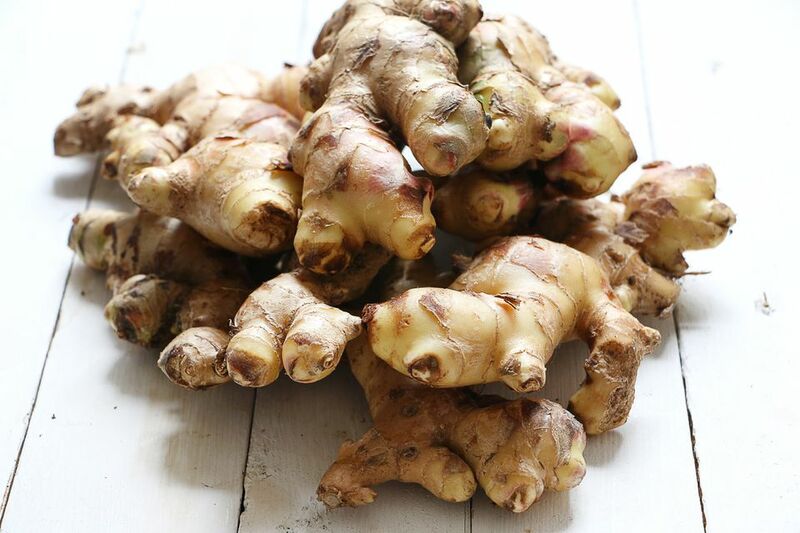 For the freshest ginger root, shop at an international market as they'll have a higher turn over than a grocery store and usually better prices. It's best to store ginger in the refrigerator intact, with the peel still on. You can store cut ginger in the refrigerator, but it won't keep as long. To maximize the storage time, place your ginger in a freezer bag; press out most of the air and place it in the crisper drawer in your refrigerator. If you're short on time or freezer bags, place it in the refrigerator in the brown paper bag you brought it home in. It should keep for about a week this way. If you accidentally peeled more ginger than you need, you can preserve the extra piece by placing it in a small glass jar and adding enough vodka or sherry to cover it completely. It should keep for several weeks this way. Toss it out when the alcohol starts to look cloudy—that's an indication that mold or bacteria may be present. To store ginger indefinitely, stick the root in the freezer with the peel on. Place it in a freezer bag or another freezer-safe container to protect it from freezer burn. Whenever you need fresh ginger for a recipe, pull the ginger out; grate what you need; and return the rest of the root to the freezer. There's no need to thaw it first as frozen ginger is a lot easier to peel. For a never-ending supply of ginger, plant a ginger root in a small pot and keep it on the windowsill. It'll send up shoots and leaves just like any other houseplant. Whenever you need ginger for a recipe, lift the plant; cut off a piece of the root, and return it to its pot—it won't hurt the plant a bit. As long as you keep your plant watered, you'll never run out of ginger.